At Belle Pente (bell-pont') we are dedicated to producing high quality artisanal wines in partnership with nature and with respect for the environment. The name means "beautiful slope," describing our hillside vineyard site in the Yamhill-Carlton AVA of Oregon’s Willamette Valley, and reflecting the inspiration we draw from “old world” winegrowing traditions: that great wine is made in the vineyard and merely nurtured in the winery. We practice organic and biodynamic viticulture, carefully managing vineyard quality and yields through dry farming and intensive canopy management. 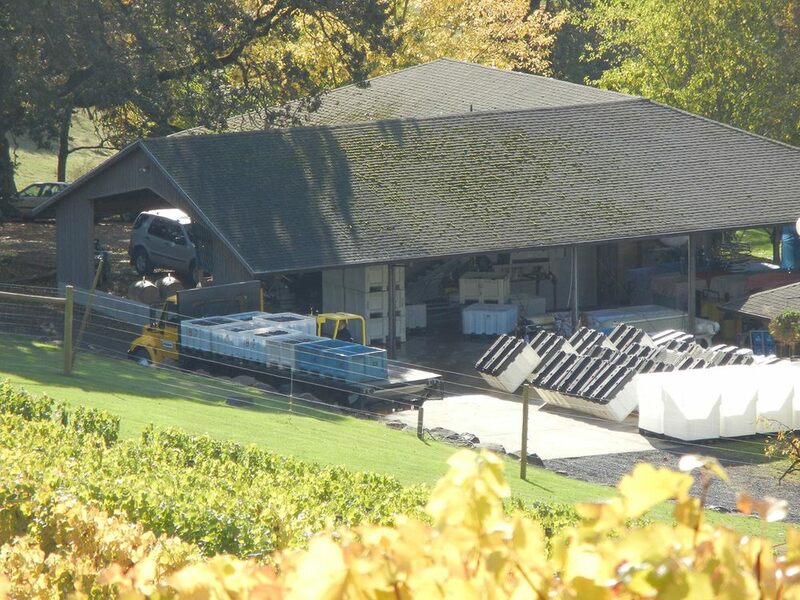 Grapes are hand harvested and meticulously sorted upon arrival at the winery. Our 3 level gravity-flow facility is designed for gentle, natural winemaking in small lots, with minimal handling and manipulation, to preserve varietal integrity and the unique attributes of the time and place in which the wines were grown. Pinot Gris is our flagship white. We also produce small quantities of other “noble” varietals of Alsace (Riesling and Muscat), as well as a traditional Edelzwicker blend of the three (Belle Oiseau). We favor a rich, opulent style (especially in Pinot Gris) carried by fresh fruit flavors and underlying minerality. Our chardonnay wines are made in a hybrid style, offering the lush fruit of "New World" wines combined with the firm acidity of "Old World" renditions. The grapes are 100% estate grown, and picked in two passes: an early harvest for freshness, and a later pass for more developed tropical flavors and aromas. 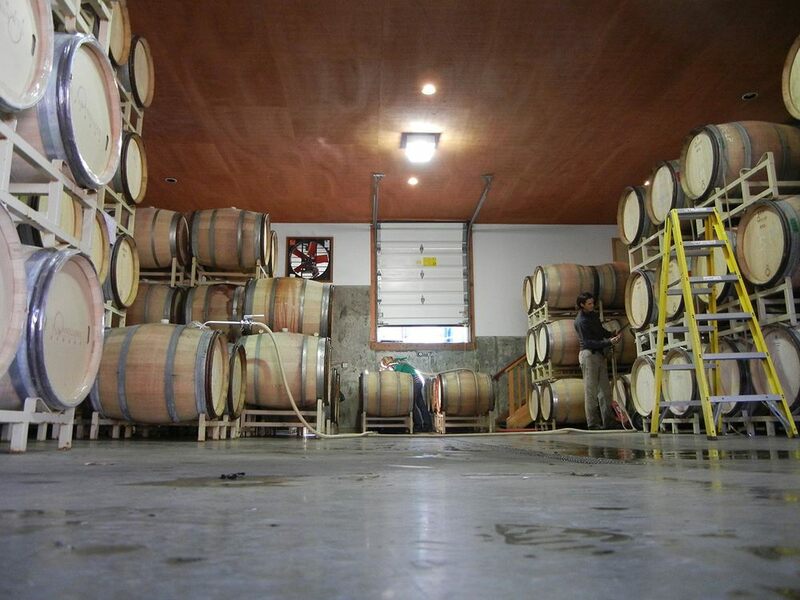 The wines are fermented in French and Oregon oak barrels (mostly older), aged sur lie for 12 months, and assembled in tanks for bottling 16-18 months after vintage. Pinot Noir grapes are 90-100% de-stemmed and fermented with indigenous and selected yeasts. Following fermentation, the wine flows directly into barrels (25-35% new French oak) for 10-18 months aging. Wines are then assembled and gravity bottled without fining or filtration. These techniques highlight varietal fruit flavors and the unique characteristics of each vineyard site. Annually we produce up to 6 different cuvées of 200 - 900 cases each. Our “house style” emphasizes freshness, complexity, focus, elegance, and balance. Belle Pente Pinot Noirs can be enjoyed young, but will also reward careful cellaring.